GOOD things come in threes — at least when it comes to your favourite apple cider. In early December, Strongbow will bring in three new variants to the local cider market. 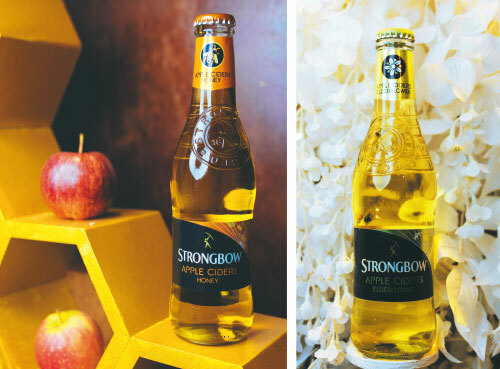 The new flavours — Strongbow Apple Ciders Gold, Strongbow Apple Ciders Honey and Strongbow Apple Ciders Elderflower — promise to tease your tastebuds with their signature apple bite and delightfully crisp freshness. Each flavour, with its invigorating hues of gold and silver-white, contains a unique blend of finely selected apples that gives it a refreshing sweet taste. With over 125 years of cider-making experience under its belt, Strongbow commits to inventing and adapting to newer, more exciting variants for its consumers. As any cider Strongbow fan knows, ciders are best enjoyed chilled with crushed ice. The Gold and Honey contain 5% alcohol, while the Elderflower contains 4.5% alcohol.